Workshop Proceedings to be published in Solar Physics. Please start preparing papers to submit! 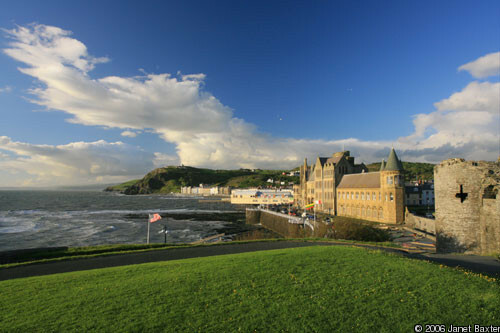 In association with the International Heliophysical Year (IHY) 2007 and the Whole Heliospheric Interval (WHI) in 2008 we announce a Workshop, "Remote Sensing in the Inner Heliosphere", to be held in Aberystwyth, Wales, 05-07 May 2009. The Workshop is planned as a continuation of the successful series of Interplanetary Scintillation (IPS) workshops held in the last few years, but with the inclusion of White Light groups and others interested in remote observations of the inner heliosphere. 2009 brings us the 400-year anniversary of the discovery of Sunspots by Galileo Galilei in 1609. It also marks 50 years in 2008 since the Parker (1958) solar wind plasma definition paper. The broad aims of this Workshop are to continue discussions on IHY collaborations and progress (specifically WHI), more ease and speed on the sharing of data between groups, updates on the MWA and LOFAR prospects to the community, further involvements with STEREO/SMEI and other white-light imaging and in situ comparisons, and how the different data sets can compliment each other to further our understanding of the physics behind our observations/models. It will also further strengthen the current collaborative ties between various groups following the previous IPS workshops in Toyokawa and Puschino. The Workshop is timed to be close to other conferences which may also be of interest to participants. These are listed under the "Important Dates" link to the left. 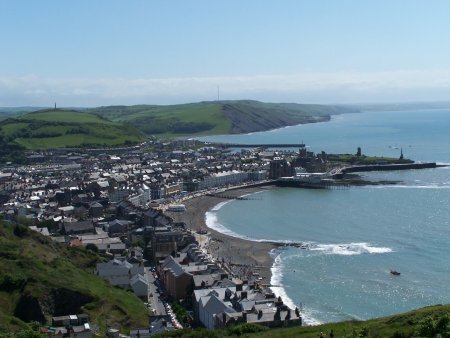 Aberystwyth is set in beautiful unspoilt scenery on the shores of Cardigan Bay on the west coast of Wales. The landscape, flora and fauna in the Aberystwyth area are quite outstanding. Red kites regularly fly over the campuses and bottlenosed dolphins can be seen offshore. 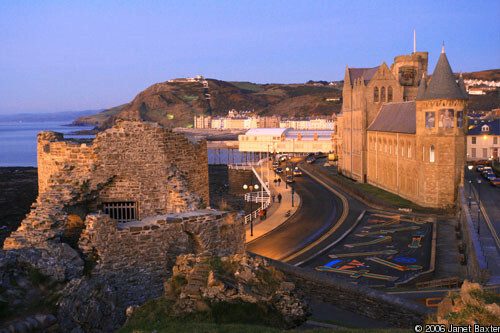 Aberystwyth has a wealth of restaurants and good places to eat and plenty of general activities and facilities. We wish to thank the following for their contribution to the success of this conference: European Office of Aerospace Research and Development, Air Force Office of Scientific Research, United States Air Force Research Laboratory http://www.london.af.mil; The National Science Foundation in the United States http://www.nsf.gov.